Tooth sensitivity is an oral health issue that affects millions of Americans. 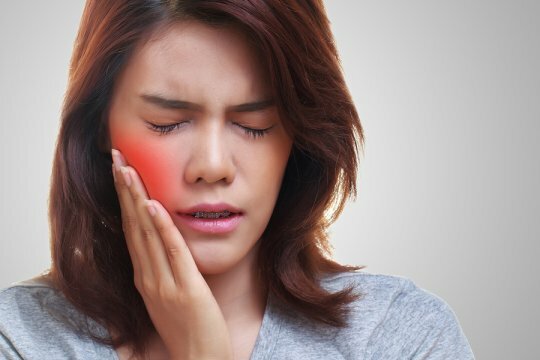 If your sensitive teeth are causing you discomfort, you may want to make an appointment with a dentist serving Hazlet. A dentist offering thorough dental exams in your local area can help you get to the bottom of what is causing your sensitive teeth. With proper oral care procedures, you can help reduce sensitivity and improve your smile. Read on for a look at some of the most common causes of tooth sensitivity. One of the most common causes of tooth sensitivity is enamel erosion. When you eat very acidic foods, the enamel coating on your teeth may gradually wear away. Over time, lowered levels of enamel may result in sensitivity to very cold, hot, sweet, or acidic foods. Fortunately, your dentist can help you restore your enamel and protect your teeth. Tooth decay is another leading source of tooth sensitivity. Cavities can occur in people of any age, and an untreated cavity can become a source of sensitivity and discomfort. When your tooth has a cavity, its root may become exposed. In certain cases, this exposure can lead to pain, sensitivity, and other symptoms. Another possible cause of tooth sensitivity is gum recession. Gum disease, which is also known as periodontal disease, can lead to the exposure of the sensitive root endings of your teeth. With proper gum and oral health care, you can help to prevent sensitivity that is caused by gum disease. At Glenwood Premier Dental , we are pleased to provide our patients in the Hazlet area with a range of state-of-the-art dental services. From laser dentistry to restorative care and more, we offer the procedures that you need to restore your smile and preserve the health of your teeth and gums. To make an appointment with Dr. Wassef today, give us a call at (732) 264-4477.